Nathan Redmond on Saints' support at Everton. Our 90-second highlights from Goodison Park. The best of the action from Saints' draw at Everton. The pick of the action shots from Goodison Park. Redmond gives his post-match thoughts at Goodison Park. Boss says Saints deserved better after cruel late twist. Saints out of bottom three but cruelly denied victory. Saints boss on parallels with his playing days at the club. The Serbian eyes second clutch win in a row at Everton. Get set for Saints' trip to Everton in the Premier League. Can you get 10/10 in our pre-Everton quiz? Saints boss looking to lay down the gauntlet to other sides. Watch our interview with the manager ahead of Everton. Plan your trip to Goodison Park with our handy away guide. Watch as the players got to work again at Staplewood. View our images from Thursday's training session. Saints boss looks ahead to Everton clash. The lowdown on Saints' weekend opponents Everton. Redmond was introduced for Mario Lemina at the break and had a huge influence on the game. A heartbreaking end to the game and what would have been a huge win for Saints. Tom Davies' deflected strike well after the four minutes added earns the hosts a point. Tom Davies hits the ball from the edge of the box after taking in Idrissa Gueye's pass and his shot takes a massive deflection off Wesley Hoedt and wrong foots McCarthy. Leighton Baines takes aim but Alex McCarthy makes a wonderful save and then punches away the resulting corner. Wesley Hoedt is late after Seamus Coleman knocks the ball past him and it's a free-kick in a really dangerous position. Additional time is shown as 4! Saints fans urging the team on from the away end with Cédric down receiving treatment. Saints digging in here down to ten men as Coleman's right-wing cross is collected by Alex McCarthy. Maya Yoshida is sent off for a second bookable offence after a foul on Oumar Niasse. Wesley Hoedt plays the ball down the line into Shane Long whose set for Nathan Redmond is a superb one. Redmond drives forward and hits a right-footed shot just over the top. Davy Klaassen replaces Phil Jagielka for the final 10 minutes in the contest. Former Saint Morgan Schneiderlin goes into the book for an over the top challenge on Shane Long. Final change as Shane Long replaces Charlie Austin in attack. Dušan Tadić makes way for James Ward-Prowse as we approach the final 20 minutes here at Goodison. Dušan Tadić finds the overlapping run of Ryan Bertrand and his cross is just about dealt with by Phil Jagielka. Wesley Hoedt blocks Oumar Niasse's shot, shortly before the striker tries to stand a cross up to the back post for Cenk Tosun but it runs out. Sam Allardyce responds to going behind by making a substitution straight away. HOW BIG COULD THAT GOAL BE?! Cédric delivers a cross of real quality from the right and Nathan Redmond heads home at the far post. Ryan Bertrand wins a corner off Seamus Coleman after his cross deflects out but Dušan Tadić's delivery is cleared away by Cenk Tosun. Oriol Romeu goes into the book for stopping Cenk Tosun breaking away into a dangerous area. Nathan Redmond is introduced for Mario Lemina, who was struggling with a hamstring issue shortly before the interval. Sam Allardyce makes a switch at the break as Funes Mori replaces Yannick Bolasie. Southampton have looked the more likely in the first-half but it remains all square going into the break. Charlie Austin goes into the book after bringing down Seamus Coleman from behind. Leighton Baines delivers a free-kick from the right but Alex McCarthy is straight out to take charge and collects the ball comfortably. Oriol Romeu is invited to shoot from distance and his effort picks up a deflection off Phil Jagielka but Jordan Pickford deals with it well. Charlie Austin is fouled by Morgan Schneiderlin, but Dušan Tadić plays a short one in towards the run of Ryan Bertrand down the left and his pass runs out. Saints fans shield themselves from the sun as they watch on in the away end at Goodison Park. Charlie Austin catches a half-volley sweetly after Cédric's lofted pass is only half headed away, but Jordan Pickford makes a good save. Seamus Coleman gets down the right and delivers a cross towards Cenk Tosun, but his header on the stretch loops over. Dušan Tadić creates space in the middle of the pitch and looks to loft one over the top for Charlie Austin but his pass is a touch heavy and runs through to Jordan Pickford. Ryan Bertrand roams free down the left and looks to deliver a dangerous cross, but he overhits it and it flies over Cédric who was charging in at the back post. The most advanced of Everton's midfielders, Tom Davies drives forward and unleashes a low left-footed drive but it arches wide of Alex McCarthy's goal. there is a confidence and a belief to push on and get the results we need. there's a real sense of togetherness. all the focus is on getting the best result we can today. 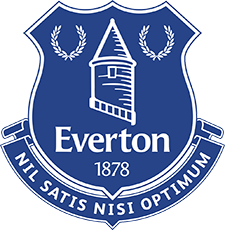 Starting XI: Pickford, Baines, Keane, Jagielka, Coleman, Gueye, Schneiderlin, Bolasie, Davies, Vlasic, Tosun. Subs: Robles, Martina, Funes Mori, Kenny, Klaassen, Niasse, Baningime. Starting XI: McCarthy, Cédric, Bednarek, Yoshida, Hoedt, Bertrand (c), Romeu, Højbjerg, Lemina, Tadić, Austin. Subs: Forster, McQueen, Stephens, Ward-Prowse, Redmond, Gabbiadini, Long. Take a look through our gallery of images as Saints arrived at Goodison Park for another hugely important clash in the Premier League. Watch as the Southampton squad arrived at Goodison Park for today's clash with Everton in the Premier League. We have had great support all year even when we haven't done enough for them. the fans pushed us to our limits last time out and i hope they will do the same in the last three. if you give performances of desire and determination your fans will forgive you a lot. i think that's what we've shown and i think that is why the fans are with us. Goals from Dušan Tadić, Charlie Austin (2) and Steven Davis earned a resounding 4-1 over today's opponents Everton in the reverse fixture at St Mary's. Watch back the goals! Southampton boss Mark Hughes gives his thoughts ahead of today's meeting with Everton in the Premier League. It's another huge game for Mark Hughes's men as Southampton travel to face Everton in the Premier League. After victory over AFC Bournemouth last weekend, Saints will look to pile the pressure on those above them once more. Stay with us for build-up, in-game updates and live audio commentary.